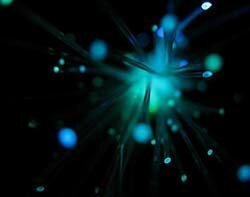 Communities and non-BT network operators reacted with dismay to the government's new broadband strategy. Culture minister Jeremy Hunt will launch the government's £830m broadband strategy formally today. The goal is to put a "digital hub" in every community before 2015. "This is a monumental con," said Chris Conder, who runs a community broadband helpdesk that serves parts of Cumbria, Lancashire and North Yorkshire via three different telephone exchanges. "It is 2003 all over again," she said. "The sad thing is I really think they believe they are doing well. They have fallen for the spin." Chris Conder described a multimillion-pound effort, Project Access, to provide Cumbria with broadband as wasted. "All these years the companies who got the money have said Cumbrians all have ADSL connections. Well, how come when BDUK money became available they now say they haven't?" she said. Guy Jarvis, a spokesman for NextGenUS, which has installed and operates a 1Gbps community-owned network in Ashby de la Laund, said the firm had warned Culture minister Jeremy Hunt that the strategy would distort the market and delay investment. Communities would delay broadband investments "in fear of missing out on a taxpayer handout courtesy of the BBC TV licence fee," he said. He questioned BDUK's procurement of the four pilot rural broadband projects. "Will they all be lumped together or will they split up to encourage innovation in supply?" he asked. Vtesse Networks CEO Aidan Paul said Vtesse would suspend further deployments in rural areas until objections to regulatory hurdles had been cleared up. "We support the general thrust of Hunt's speech, and the report itself," he said. Vtesse agreed with the need to accelerate the availability of superfast broadband in the so-called "final third", and that this should be centred on the community. "We have demonstrated beyond doubt that there are no real technical obstacles to deploying superfast broadband in our trials in final third communities in Cornwall, Wiltshire, Hertfordshire and Warwickshire," Aidan Paul said. "However, the current obstacles are largely regulatory and not economic for around half the final third. We look forward to rapid progress on all fronts to remove these artificial regulatory barriers, supported by government," Paul added. Geo chief executive Chris Smedley also welcomed Hunt's promise of more money for rural broadband and the promise of clarity with respect to BDUK's procurement process. "The digital hubs are a good idea," he said, adding that Geo has been exploring how to provide them. Fibre to an access point was good, as it allowed later upgrade to individual premises when money permitted. But Smedley repeated reservations he expressed earlier about restrictions on access to BT's ducts and poles, and the associated terms and conditions. He said any operator that received public money for rural broadband should have to make it open access. "We can't accept BT's definition of broadband," he said. Smedley also called for structural separation and public ownership of the company that provides the physical network. What do community networks want? Computer Weekly asked Chris Conder, who runs a community broadband helpdesk that serves parts of Cumbria, Lancashire and North Yorkshire, what community network operators would like to see in the government's broadband strategy. Compulsory purchase of all assets that Openreach owns in the final third. "The list could go on. Putting in cabinets will prolong the life of the copper for a long time. We will have to go through this all again in the 2020s. It wants doing properly now," said Conder. "If they do the rurals with fibre then all the cities will soon get it through market forces. Job done, we lead the world. If government can't see that by now then it is a scandal waiting to happen. It will cost an arm and a leg and all the funding to provide BET [broadband enabling technology]. Far better to use the money for fibre."